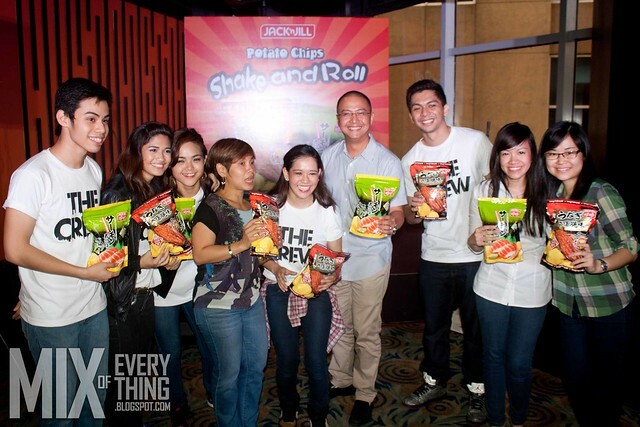 Jack 'n Jill Shake and Roll is my new favorite potato chips! - Hello! Welcome to my blog! 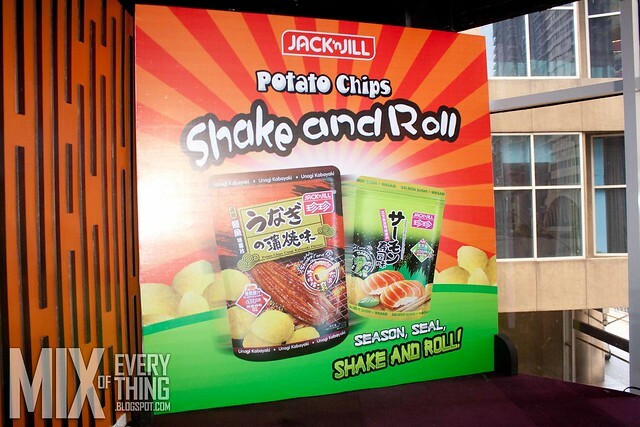 Jack 'n Jill Shake and Roll is my new favorite potato chips! 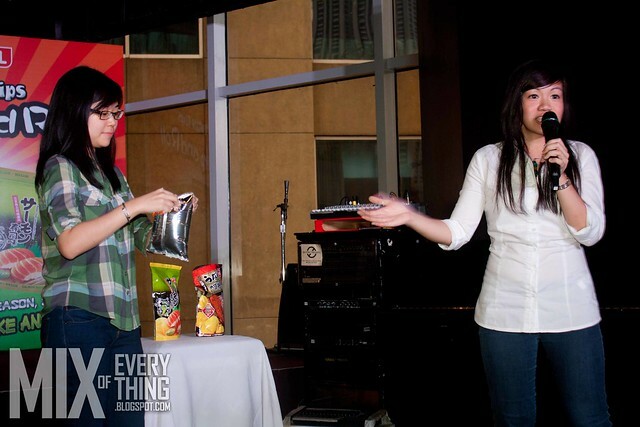 I've always been into potato chips. Even when I was young. The brand Jack' n Jill has always been there on top of my head when I think of Potato Chips. This trusted brand has been here for years and has been my partner during snacks, movies, hanging out with friends and even parties. Flavors are Unagi Kabayaki and the Salmon Sushi variant. Jack' n Jill is proud of this particular product because of its uniqueness. First in the market, and first of its kind. This pack contains two smaller packs inside. One is the chips, the other is the flavoring/seasoning. put everything in the pack and zip it and shake! It is so easy to do! Okay, maybe you didn't get that because it's in Japanese. :) Here's a demo from their Brand Manager. Step One, open the pack, and open the pack of chips and throw it on the pack. Put the seasoning in it as you please. Zip lock the pack, then start shaking! I don't know which part you have to roll but, eat the chips first. :) Remember... To eat, Open, Season, Shake, Seal. Okay, verdict on to the flavors. First, the Unagi Kabayaki. It has this rich smoky taste. kind of sweet and savory. It was a different take on the ordinary potato chips. Definitely a thumbs up on the flavor. :) But the one that I really liked is the Salmon Wasabi. Hands down! It had the right amount of spice that I need in a snack. I loved it! I had a chat with one of the bosses of URC. 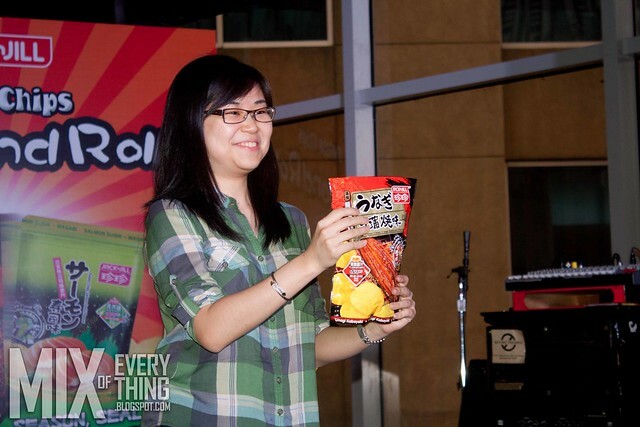 The concept came from China (I think) which they have decided to bring here in the Philippines and distribute. I asked if they would be making more flavors available here in the Philipines. He said Takoyaki is a spossibility if the Shake and Roll here in th Philippine kicks off. The brand also got "The Crew" as their ambassadors. The Crew won the 2012 World Hip Hop Championships in Las Vegas, besting 40 other countries. 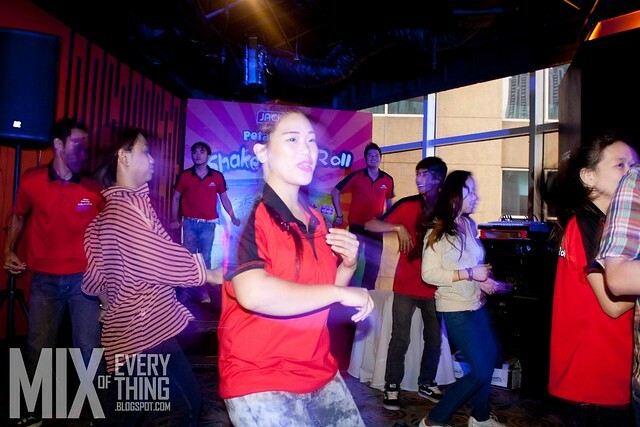 The Crew made some really catchy steps on how to Shake and Roll in opening and enjoying the chips. #Cool!